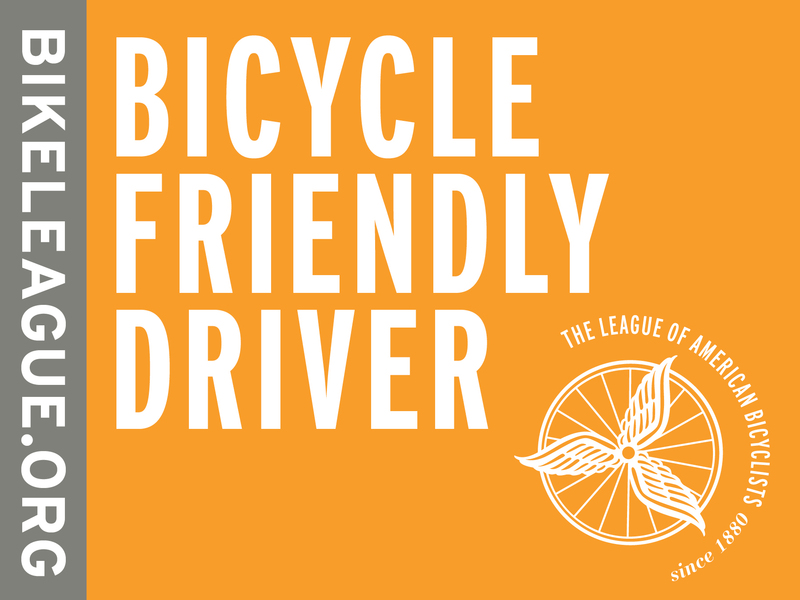 The League is helping keep all road users safe by offering the Bicycle Friendly Driver training. This is the League’s newest addition to the Smart Cycling program. Created by the City of Fort Collins, the training aims to educate motorized vehicle drivers about how and why bicyclists travel the roadways in the ways they do with the objective of developing a shared understanding for all users. Find a League Cycling Instructor (LCI) near you to deliver the course through our Connect Locally Map. League Cycling Instructors have access to teaching materials, certificates of completion, and promotional stickers to help facilitate the training in their community through the LCI Portal. Promotional Stickers can be purchased here by LCIs. Find out how to become a League Cycling Instructor and join the network of nearly 6000 bicycle safety educators across the country. Click here.